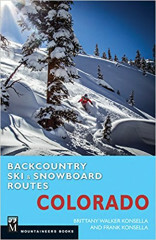 If Colorado snow is labeled as gold, this is the ultimate treasure map. The duo of Brittany and Frank Konsella have more big mountain, racing, and mountaineering experience than most people have experience eating. 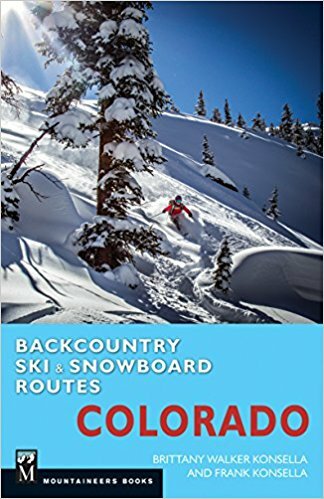 They both have skied all of Colorado’s 14,000ft peaks and fistfuls of other mountains from the top of the state to the bottom. 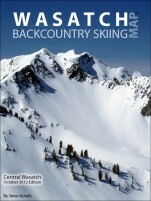 This book has 102 backcountry routes with detailed approach and descent descriptions. There is a handy chart summarizing tours to make selection easy and for those over achievers they even included opportunities for “Extra Credit” on routes!